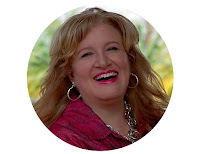 It's been a while since I've blogged on "lessons from Kathryn" (if you want to read all that I've posted on them so far, just click the link, "Lessons from Kathryn" down at the bottom right under "labels.") Kathryn Kemp is my boss at NextJob and has become one of my dearest friends as well. I've learned so much from her, as a coach, and just in life in general. One of the recent lessons I've been learning from her is about the way she is so careful about the atmosphere around her. Now, I really thought I knew this principle. But like anything else in life, there's always more to learn. The Lord has also used Kathryn to teach me a lot in the last year and nine months. Kathryn is a very gentle soul, but don't let that fool you. The woman's got boundaries, and if you ever cross them you will find out real quick that you've crossed them. It doesn't come in the form of a big announcement. There is no fanfare, she just quietly enforces her personal boundaries. One day out of curiousity I asked her if she saw what a mutual acquaintance had posted on their facebook. "Oh no," she gently replied, "I deleted them a while back." "Oh, really?" I said. "May I ask why?" Devoid of any malice, she said: "I just don't need that negative energy in my life." And that was simply all. I noticed that none of the comments were made to her, they were just around her but still -- she doesn't even maintain a presence where they are in existence, because she values herself too much to sit in the midst of something that's not good for her. Notice I didn't say "good enough for her". Kathryn's not a snob, she just knows how to manage herself -- something I used to be terrible at, and still have quite a ways to go. Now, Kathryn is not a Christian and I do not say this to judge her, but to make a point. (By the way, she will be totally cool with me writing this, and will probably get a huge kick out of it when she reads it on her day off at 5 am. LOL) I have been fascinated with Kathryn's response to "negative energy" as she puts it, because she's not responding for biblical reasons, for she's not a believer. She's responding in the way she does for pure health reasons. Lately I've gotten very serious again about protecting my physical health and I've been watching every bite that goes into my mouth and biking every single day but Sunday. I understand the need for spiritual and physical health, as many of you do. But what about emotional health? Kathryn watches over her emotional health like many of us concern ourselves with weight watcher points, or exercise. She knows her quotient. She knows her limits. She watches carefully what goes in and what goes out. This lady has an emotional budget, and she's stickin' to it. If a conversation becomes toxic, she removes herself quietly. I am taking baby steps. There are times I've had to change my atmosphere after I've already entered a conversation. The preferable more mature option is to not ever enter that conversation in the first place. (I'm still maturing...lots.) I've become best friends with the "hide" button. :) Kathryn deletes, I prefer to just hide. It creates less drama. Take a lesson from Kathryn Kemp, and know that sometimes it's just best to disappear. I admire Kathyrn too. I'm learning the same lessons. My beloved told me this: Lisa no one but the Father should get 100 percent of you. He continued, you have to have a reserve for you. Then he said know your limits and when you feel yourself getting close...retreat. So I have a low tolerance for drama and am learning how to quietly remove myself. Kathyrn is great woman of influence; I appreciate her and don't even know her. Maya Angelou has said that if someone is in her home and they make any kind of negative comment - a racial slur, an insult about someone else, whatever - she immediately asks them to leave. She said, "It's my home, and it's my right to protect it from anything that I don't want brought into it." I'm not "there" yet, either - but that kind of trait is definitely one that I admire! Yeppers, I love that hide button. I tend to have a short tollerance for OPD... (btw that became a slang term in our house this weekend, thanks to you, I informed the kids I'm not into OPD... they loved that. )I do need to learn to walk away, sometimes we don't see how emotional fragile we are.